Hogan, a division of the Italian-based Tod company, shows its line of Hogan men's shoes, for spring/summer 2012. This season’s range of footwear for men showcases the simple yet comfortable shoes appropriate for the man on the go. Have a look at Time Active, a pair of sneakers made from high-grade leather. Laces in solid eyelets secure the shoes for the active man on his feet all day long. 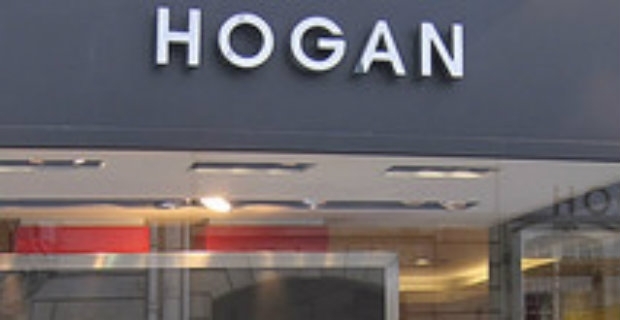 The Hogan logo is discreetly embossed on the sides of the shoes looking like they're part of the design. Choose from black, cinnamon brown, blue denim or neutral suede. A really casual pair of shoes that stands out is the HXM 1800D, fabricated from soft leather. It’s so simple yet comfortable enough as slip-in loafers perfect for lazing indoors or even for a day in town. These are available in classic colours of suede grey, midnight blue,and red. City walking is never fun without a comfy pair of shoes and this model of Hogan shoes is aptly named. City Tech by Hogan features solid laces to keep your feet firmly tucked in, calf leather, sturdy soles, and fabric inlay. Select from 3 basic colours of grey, brown, or blue/ecru for that pair you need to keep your feet happy. For smart-looking shoes, don’t forget to check the Olympia in white calf leather highlighting a perforated H logo. It’s also available in multi-colours with paprika red cinnamon brown, and ivory white trims. If you’re doing lots of hiking trails this season, the Rebel design might be a good fit. This ankle length pair of shoes is made from soft suede and trimmed with double laces that will secure your feet nicely while on an arduous walk. From slip on shoes to casual pairs, Hogan is a brand that’s both stylish and functional. For men out there,this is good news, especially for those seeking a pair that meets those needs.